From the busy streets of Saigon to the beauty of Hoi An and Halong Bay, spending two weeks in Vietnam gives you the chance to see most of the country’s top destinations without having to rush from one location to the next. Below, we’ve planned a two-week travel itinerary for Vietnam that covers both of the country’s major metropolises, the beautiful central Vietnamese city of Hoi An and fun day trips to Halong Bay and the Mekong Delta. Note: Not sure how much you’ll need to budget for a two week trip to Vietnam? Our How Much Money Do I Need For Vietnam? guide breaks down the cost of visiting Vietnam, from hotels and guesthouses to dining and more. See also our Packing List for Vietnam for a breakdown of what you should bring. 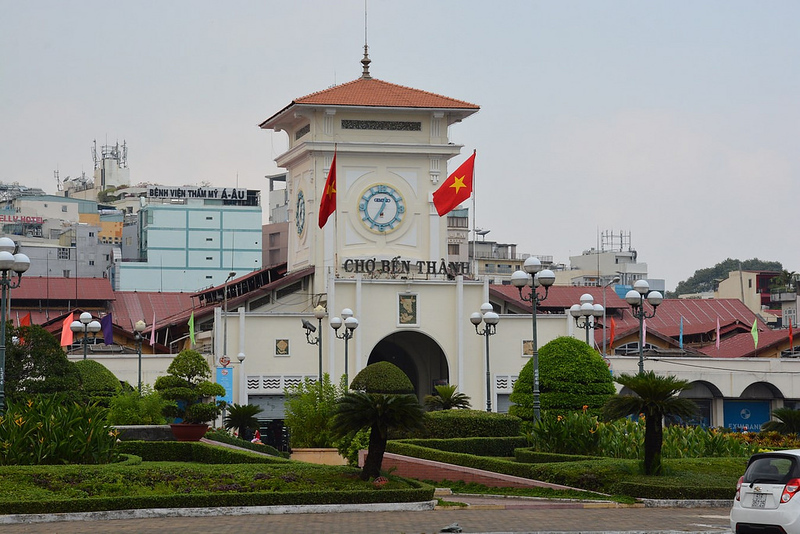 Our itinerary travels south-to-north, from Vietnam’s bustling economic hub of Ho Chi Minh City (better known within Vietnam as Saigon) to the capital of Hanoi in the north. Ho Chi Minh City is Vietnam’s largest and busiest city, with a great selection of historical hotels and fun things to do. Vietnam has strict visa rules and visitors from most countries outside of Southeast Asia need a visa, or a letter of approval for visa on arrival, to enter the country. Recently, visa exemptions for some European countries have been introduced. You can learn more about specific visa requirements for Vietnam in our How To Get a Vietnam Visa on Arrival Guide. 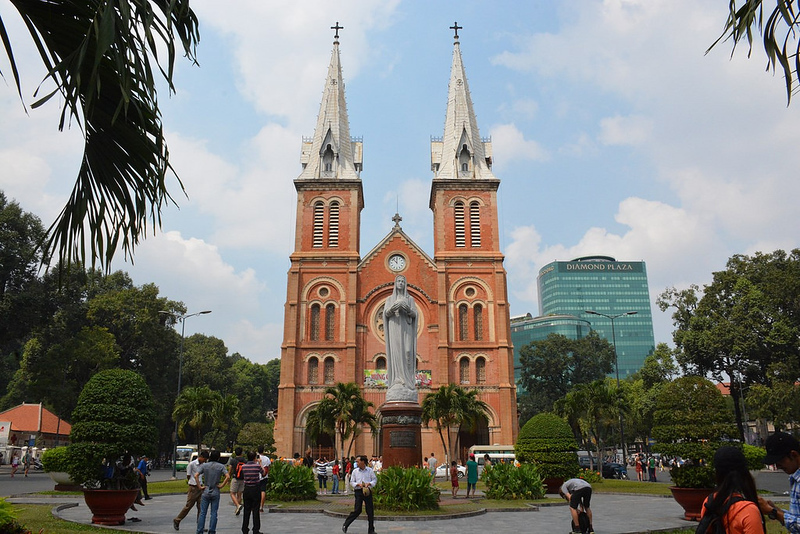 Most of Ho Chi Minh City’s attractions and hotels are located in District 1, which is the cultural and commercial heart of the city. Budget travellers will want to stay on Pham Ngu Lao, which is home to most of the city’s budget accommodation and backpacker guesthouses. Need help getting around Ho Chi Minh City? Our Quick Guide to Saigon lists the best areas to visit, the best hotels to stay in and the best things to do in Saigon. Ho Chi Minh City has a huge range of things to do, from high-rise skydecks to historical Vietnam War sites. Below, we’ve listed five attractions and activities to see and do in Ho Chi Minh City on day two and three of your time in Vietnam. Reunification Palace, which was previously the South Vietnamese Presidential Palace, is one of Saigon’s most popular attractions. The palace has been left largely the same as it was during the Fall of Saigon and has several exhibits about the final days of the war. The War Remnants Museum contains several emotional photo exhibits of the Vietnam War (known as the American War within Vietnam), as well as American war machinery and vehicles. The Bitexco Financial Tower, Ho Chi Minh City’s tallest building, offers a great view of the city from the 49th floor Saigon Skydeck. The A O Show (pronounced ahh ohh) is a live Vietnamese culture show that’s held in the beautiful Saigon Opera House. The hour long show mixes circus-style performances and live acrobatics with Vietnamese music and cultural traditions. Located about one hour’s drive from Ho Chi Minh City, the Cu Chi Tunnels are a vast network of tunnels used by the Viet Cong during the war. Guided tours of the tunnels, which include displays of several terrifying war-era booby traps, are available. Known as a “biological treasure trove”, the Mekong Delta is a large area in southern Vietnam that’s Vietnam’s agricultural heartland. Day trips to the delta are available from Ho Chi Minh City, offering an interesting look into everyday Vietnamese life on and around the river. Most tours depart from Ho Chi Minh City for My Tho, a bustling port city located approximately two and half hours away by minibus. After a river cruise, you’ll be able to see how several local industries operate in the delta, from coconut candy to tropical fruit farms. Interested in learning more about the Mekong Delta? 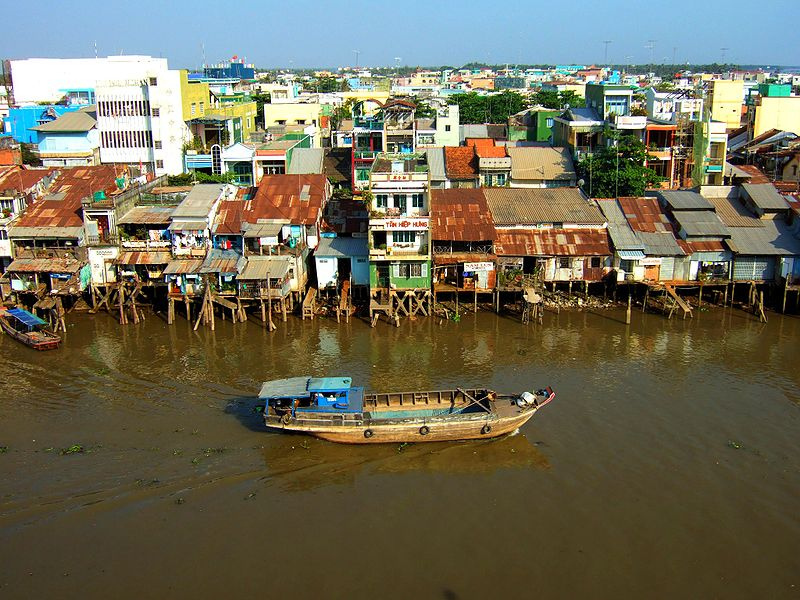 Our guide to Can Tho, Vietnam provides a look into life in one of Vietnam’s Mekong Delta cities. Our Saigon Quick Guide contains even more things to do in Saigon, as well as a list of the city’s best dining and cafe options. After four days in South Vietnam, it’s time to travel north to the country’s Central Coast. Day five to seven will be spent in Hoi An, a small city in Central Vietnam that’s famous for its Old City — a UNESCO World Heritage Site. Hoi An is a small city without its own airport. To get there from Saigon, catch a flight to Da Nang, then catch a taxi south to Hoi An. The taxi trip takes about 45 minutes and costs $22 to $30 US dollars. It’s also possible to get to Da Nang by bus and train from Ho Chi Minh City, although the ride is a long, rather uncomfortable journey. Learn more about Hoi An in our Hoi An, Vietnam guide. Hoi An has two great beaches fairly close to town. An Bang is a quiet beach located just four kilometres from Hoi An Old Town with a selection of resorts and restaurants, while Cua Dai is a long beach located about five kilometres to the north of Hoi An. 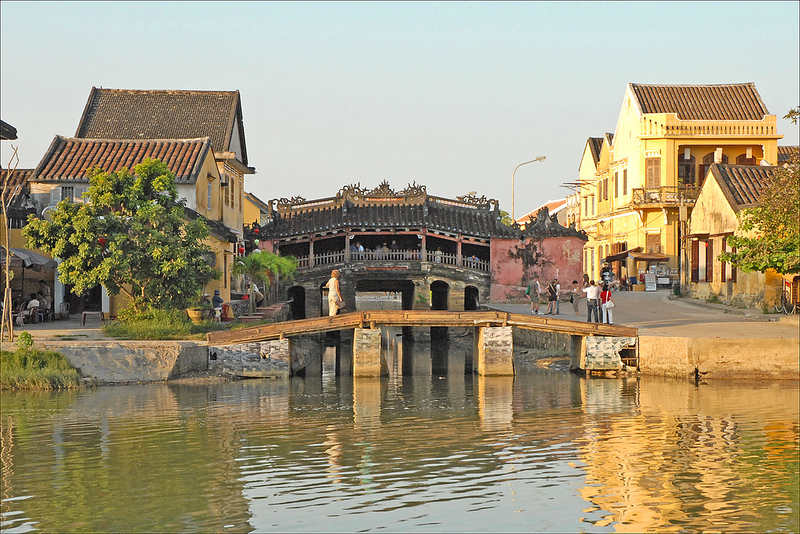 The historic Old Town is Hoi An’s main tourist attraction, with a variety of landmarks and several museums. You’ll need to buy a coupon to enter most of the Old Town’s historical sites — they’re available for 120,000 dong and provide access to five different locations. Highlights of Hoi An’s Old Town include the Japanese Covered Bridge and Quan Cong Temple, as well as museums such as the Museum of Folk Culture and Hoi An Museum of History and Culture. Hoi An is one of Southeast Asia’s most popular destinations for tailor made clothes. There are scores of tailors to choose from, but you need to be careful of not paying over-inflated prices – check TripAdvisor for other travellers’ tailor tips on where they got good service. After three days in Hoi An, it’s time to travel to Hanoi. Since there’s no airport in Hoi An, the best way to get to Hanoi is to fly from Da Nang, which is 45 minutes from Hoi An by taxi. 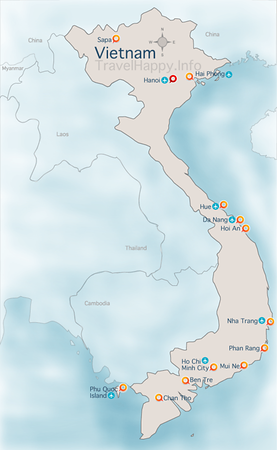 It takes just over one hour to get to Hanoi from Da Nang, with more than 20 direct flights per day. Hanoi is Vietnam’s cultural and political capital, with several outstanding historical sites and a variety of attractions related to the Vietnamese Revolution. Cooler and quieter than Saigon, it’s easy to spend two to three days in Hanoi enjoying the city’s sights and culture. Searching for a place to stay in Hanoi? Our Hanoi Quick Guide lists the city’s best luxury, mid range and budget hotels, along with recommendations for things to do, restaurants, cafes and more. You’ll spend day nine and 10 exploring Hanoi, before heading north to visit Vietnam’s famous Halong Bay. Two days is the ideal amount of time to spend exploring Hanoi, giving you enough time to see the city’s highlights without having to rush from one attraction to the next. 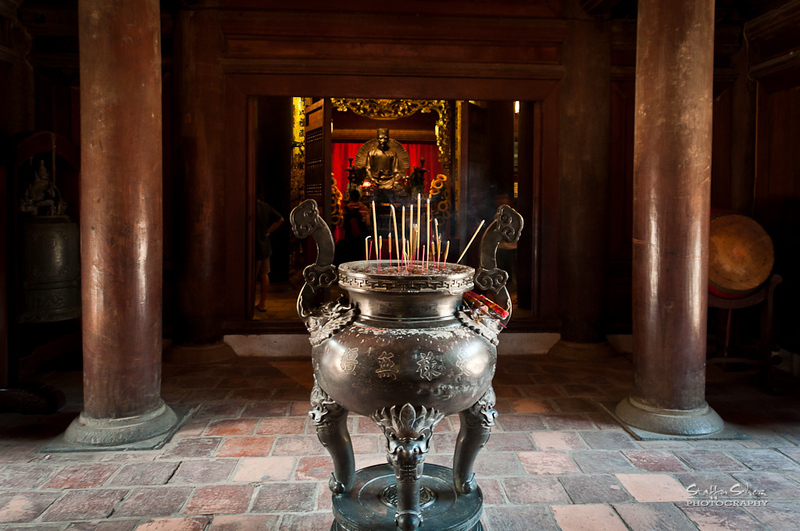 Start by waking up early in day nine to visit the Ho Chi Minh Mausoleum and Museum, which houses the embalmed corpse of Vietnam’s revolutionary leader. The mausoleum is open from 9am until noon and attracts hundreds of visitors every day, making it important to arrive early. In the afternoon, make your way to the Temple of Literature, a Confucian temple established in 1076 as Vietnam’s first national university. Hoan Kiem Lake, an important landmark, is close to the Temple of Literature and a great place to spend the late afternoon. As Vietnam’s major cultural capital, Hanoi has several museums. The B52 Victory Museum is a Vietnam War museum that’s worth visiting if you didn’t go to the War Remnants Museum in Ho Chi Minh City, while the Vietnam National Museum covers 2,000 years of Vietnamese history. Halong Bay is a UNESCO World Heritage Site located to the north of Hanoi. An icon of Vietnam, the bay is famous for its thousands of limestone islands and islets, some of which reach as high as 100 metres above the surface of the water. The best way to experience Halong Bay is on an overnight cruise. Our Guide to Halong Bay has several recommendations for reliable companies that use safe boats with clean accommodation, as well as fun day activities like kayaking and visits to local floating villages. After two days on Halong Bay, it’s time to head back to Hanoi and prepare for your return flight home. This is a great chance to catch up on Hanoi and visit any historical sites, museums and attractions you missed during your first two days in the city. If your return flight leaves Hanoi late at night, you can also spend your last day on a day trip to Hoa Lu and Tam Coc. Tam Coc, or “three caves”, is an group of deep caves in the Vietnamese countryside famous for its incredible natural beauty.